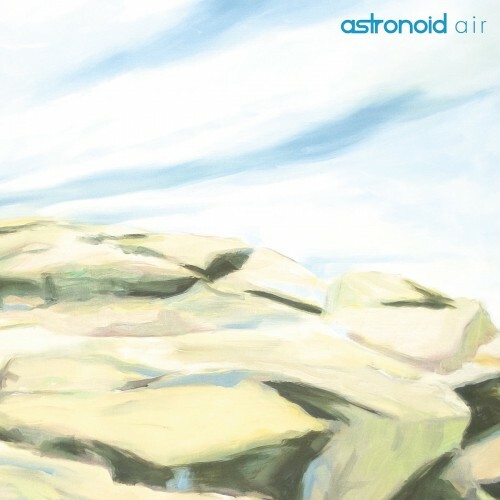 I first stumbled upon Astronoid about a year ago before the release of Air thanks to Bandcamp. I was drawn to their sound immediately but I was unable to form a conclusion as to what I thought of the band as a whole. After a few more listens to the EP The Stargazer I knew that this band possessed something unique and different that I have never heard before in the metal realm. They describe their sound as “Dream Thrash” so that gives you a little hint. 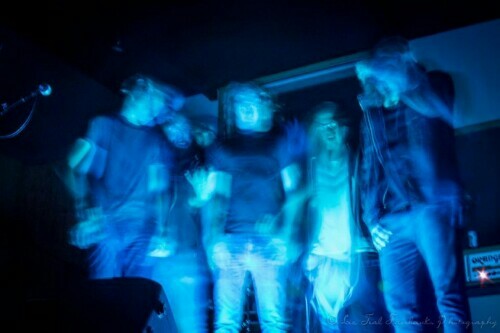 The Boston quintet names Alcest, Devin Townsend, Mew, Windir, and Cynic as some of their influences and yet their music stands out all on its own. The best way I can describe Air is a journey through a dreamscape complete with hints of Post Metal, Black Metal, Prog, and Thrash. The melodies and hooks are crazy infectious, and are even tastier thanks to the talent of the three guitarists. The vocals however are completely unexpected and may be a bit of a turn off but they grow on you. I think this was why it took a few listens for me to really escape with this album. They are impeccably clean, harmonious, yearning, uplifting, and dreamy all the same. The first track Incandescent starts off slow which buckles the listener in for the start of the ride. It begins full force when the next track Up and Atom unleashes the first note. Its like a punch in the gut and the chorus really shines… “drifting far away”.. I know I did. Resin is faster paced in the beginning and it is boiled down to lyrics that resignate within the soul. Violence is a short space like interlude that allows the next track Homesick to fall perfectly in line. Tin Foil Hats is chock full of atmosphere to start but during the chorus which by the way is quite catchy, you can almost sense… do I dare say a bit of an emo-esque vibe, but this is not a deal breaker. The title track Air is fun and has all kinds of hooks and melodies to keep you on your toes. Obsolete boasts a prog like sound with a catchy bass riff and the ambience of this song sort of feels like the end of the journey is approaching. Trail of Sulfur is the final track and it brings the album to a close. I didn’t know whether to be happy, sad, or just start it all over again. Astronoid has created one of the most uplifiting albums of last year and I really recommend that you give it a chance. Metal is not all about fast riffs, death growls, and gore. There is room for escapism and this album can be used as a musical medium to achieve just that. 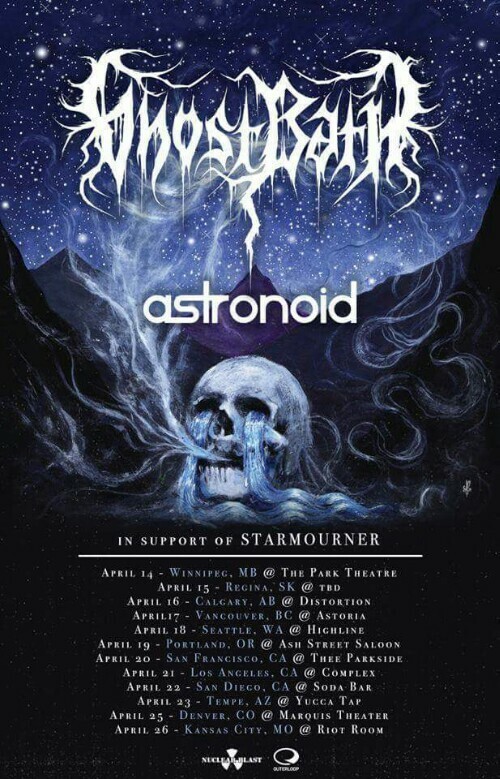 Be sure to check them out on their West Coast Tour in support of Ghost Bath.